Sometimes, the best progress is made when fear of failure no longer plays on the mind. 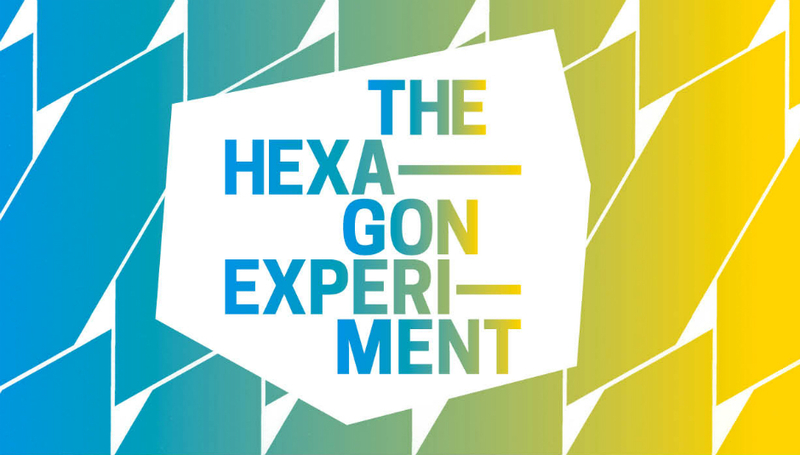 Named in honour of The University of Manchester’s ‘Friday night experiments’, after-hours lab sessions in which Professor Andre Geim and Professor Kostya Novoselov isolated graphene for the very first time while testing out their less conventional ideas, The Hexagon Experiment was a six-part series of events featuring live music, conversations, and original commissions from pioneering women at the forefront of music, art and science. "What’s been the most productive or inspiring experiment in the history of music?" The replies, published below, are as interesting as they are informative. We really like the concept of the Shorditch Experimental Music School from 1969. The principle behind the experiment is that a group of children can naturally learn how to organise themselves without outside instruction through playing music together. The environment of playing music stimulates a self-governing discipline, which is based on learning how to make space for each other in the audio landscape. They start by playing over one another at full blast, this performance is recorded to tape. They listen back and then repeat the experiment with a more controlled focus on arrangement so that individuals are heard in the piece. A composition is organically created through repeating this exercise over and over. The children learn how to form and recognise patterns as well as how to navigate each other in a considerate way. There is a big focus on engaging creatively and freely with unusual instrumentation thinking outside the formal music world, blowing bubbles into water with amplification, hitting different sized bottles and glasses or dropping coins. This helps to engage the children's imagination and also stimulates emotional learning. From the tape recording process, they learn how to use dynamics and also how to respect each other's input and not talk over each other or play too loud. Science is also found in this process but is taught from a very fun and creative angle...like changing the speed of the audio and hearing a chipmunk or hearing it very slowly and imagining a big monster. It's a very animated style of learning. They are given themes like 'create space music' they might create a visual narrative for this and then create sounds that support the story. There are interesting political connotations to the experiment too as through repeating the experiment the children find that if they want to get more pleasure from the music they might elect different leaders to conduct the pieces. We really like the social and educational aspects of this experiment and think we could learn a lot from implementing more workshops like this in children development in schools today. Even though I can’t play guitar, I guess the guitar might have to be my first answer. It’s a fairly accessible instrument financially and maybe allowed for more blues to be played which has then informed so many other musical genres in our western musical paradigm at least. I also love the story of the beginnings of steel pans. Apparently, the slave owners in Trinidad tried to ban people from playing drums at carnivals etc. and took away their traditional drums, so they used the oil barrels that were left as trash by the American Forces stationed there in World War II. People then realised they could pitch the drums - and steel pans were born! Postwar, a troupe were sent from Commonwealth Trinidad to London for some great exhibition kind of thing and the leader of the troupe taught a Londoner how to play them. That’s how it made its way here. There are so many contradictions and creative solutions in this anecdote! I am fascinated by Daphne Oram and The Oramics Machine. She was the co-founder of the BBC Radiophonics Workshop though she left shortly after it began as she wanted to pursue her musical experimentation. She was interested in oscilloscopes and studied the shape of waveforms. She took the idea of experimenting with visionary music, hand painting ink onto strips of 35mm film with different shapes controlling five different parameters; pitch, tremolo, vibrato, timbre and modulation. A woman. In the 50’s. In the music industry. Imagining sounds that she’s never heard before and creating sounds that don’t already exist. It blows my mind! Fundamentally she was building a sequencer; we can only speculate in what way her work has impacted how we create music today, but I’m sure her pioneering in electronic music has played a part in changing production techniques exponentially and making my job a hell of a lot easier. I've always loved the idea of relativity in the perception of surprise and shock in music. When composers are writing in the language of their time, deviations from the musical norm seem radical within their own historical context - when Hayden placed an unprepared 'loud' chord in a quiet section of his Surprise Symphony in 1791, it would have been a genuine surprise and have seemed totally out of context! It seems improbable to us now but contemporary audiences were baffled and confused by Beethoven’s progressive harmonic language, while the audience at the premiere of Stravinsky's amazing Rite Of Spring were so shocked by his writing that they walked out. The 20th Century saw the ability to shock move into more extreme territories. The removal of the traditional rules that governed musical harmony lead to the experiments of serial composers such as Schoenberg, whereas John Cage explored both Chance-devised structures (determined by things like rolling dice) and silence in his 4'33”. With the current rich and diverse musical culture it feels like nothing would seem shocking to our ears - extreme noise or silence, tonality or hard-core complexity, and atonality. But of course, there will characteristics that define and date today’s music as much as every previous era. Maybe there’s something we haven’t done with music yet that means we will look back at now and wonder how we missed it. As an electronics and drum machine obsessive, the most radical and experimental invention for me has to be Leon Theremin’s Rhythmicon; the world’s first rhythm machine. Invented in 1931, the machine can play up to sixteen multiple rhythmic patterns; the percussive sounds are generated via photoreceptors and I found the idea that light can be used to create rhythms and beats endlessly inspiring. I had the pleasure of seeing the machine in action on our Noise Orchestra research trip to Moscow in 2015. As part of our ‘Play the Collections’ residency at the National Science and Media Museum, we researched the early Russian sound pioneers, and Andrey Smirnov, who has been restoring and recently performing with this art historical treasure, was kind enough to demonstrate the machine to us. As an ode to this machine, I built my own DIY light drum machine/sequencer housed in an old Hitachi record player, and we created an animation of the Rhythmicon flying over Moscow. You can view the Rhythmicon animation on the Noise Orchestra film page here, and you can see my DIY sequencer here. Brighter Sound is a creative music charity, working across the North and nationally to support inclusivity, creativity and a more equal and diverse music sector. We work with young people and emerging musicians to develop their artistic confidence and originality through ambitious projects, training and events Find out more by visiting their official website. Both Sides Now is a three-year initiative to support, inspire, and showcase women in music across the North of England, with support from Arts Council England’s Ambition for Excellence fund.